Born in Siberia in 1973, Natalia Prishepenko studied with her mother, Tamara Prishepenko, an eminent pedagogue in the Soviet Union, who is still today her mentor and adviser. Nurtured in the rich musical and cultural life then current in the Soviet Union, she had played in all the leading concert halls in the USSR, and had already won important prizes such as the Wieniawski International Competition and the All Union Competition, before coming to Europe in 1988 to complete her studies at the Musikhochschule Lübeck with David Geringas. Her energy, naturalness, and musicality, her brilliant technique and freshness, were immediately appreciated in Europe, and over the following years she achieved success because of her victories in three of the most prestigious international competitions: Paganini in 1990, Tokyo in 1992, and Reine Élisabeth de Belgique in 1993. 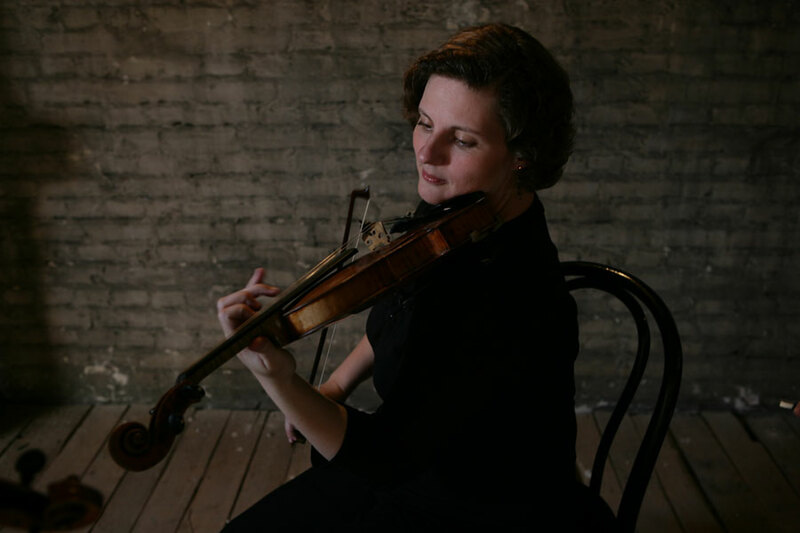 For over eighteen years, from 1994 to 2012, Natalia Prishepenko was first violin of the Artemis Quartet: she shaped the ensemble through her energy, and distinctive sound, which became its trademark and determined its great success. Her energy helped the group to enter the international arena soon after winning first prize at the ARD Competition in 1996 and the Premio Borciani a year and a half later. Since its successful debut at the Berlin Philharmonie in 1999, the quartet has played in all the leading concert halls and international festivals of Europe, the United States, Japan, South America, and Australia. In a symbiosis of music and art, Natalia Prishepenko benefited from the teachings of Walter Levin, the Alban Berg, Juilliard, and Emerson Quartets, Alfred Brendel, and David Geringas, as well as the effects of direct contact with composers such as Kurtág, Lachenmann, Lutosławski, Nono, and Ligeti, and of musical exchange with artists like Sabine Meyer, Elisabeth Leonskaja, Juliane Banse, Jörg Widmann, Leif Ove Andsnes, Truls Mørk, Thomas Kakuska, Valentin Erben, and the Alban Berg Quartet. From this ‘life project’, as Natalia Prishepenko likes to call it, this exceptional violinist has left us an extensive discography on Virgin Classics/EMI, which has won her prestigious prizes, including the Gramophone Award, Diapason d’Or, and Echo-Klassik-Preis. Her last achievement was the Grand Prix de l’Académie Charles Cros in France, which she won for her project ‘Beethoven Complete’. Teaching is one of the numerous talents of this artist. As a professor at the Hochschule für Musik Carl Maria von Weber Dresden and teacher of many masterclasses, Natalia Prishepenko carries out the valuable task of training the soloists of the future, not just by giving them a solid basis in the technique of the violin, but also by encouraging them to develop their individual character as musicians. Prishepenko is also frequently invited to be a member of the jury at prestigious competitions for chamber music (Premio Borciani, Robert-Schumann-Wettbewerb, Internationaler Musikwettbewerb Bayreuth) and violin (Concours Reine Elisabeth, Internationaler Musikwettbewerb der ARD). Natalia plays a violin made by ‘Joseph (filius Andrea) Guarneri’, generously loaned to her by Ms Barbara Westphal.